Pet owners love their fur babies, and there’s little we wouldn’t do for them. But chances are that if you’ve ever been the owner of a puppy you’ve probably reached a point where you wondered just what you had gotten yourself into. Puppies are adorable, but they’re also babies just beginning to learn how their world works, and it’s usually up to us to teach them. At some point we’ve all googled tips from Cesar Milan, or asked other dog trainers, just what we should do to help our puppy learn not to be destructive and wild. And in most cases these tips usually help, and we can start molding our pups into the dogs we know they can be. But what if no matter what you did your puppy just wouldn’t come around? 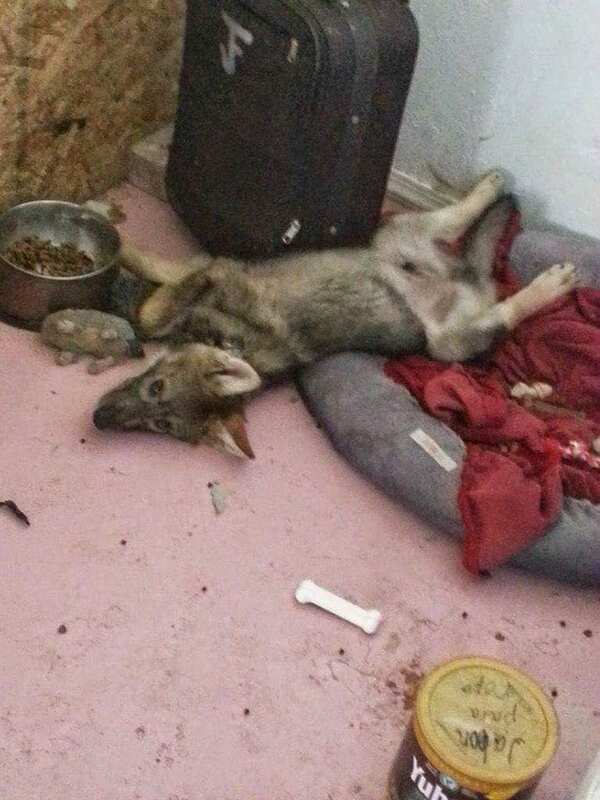 This was the situation one dog owner in Tucson, Arizona found himself in. After bringing home a cute little puppy he soon noticed that his dog wasn’t behaving quite like most dogs do. He wouldn’t socialize with other humans, he wouldn’t listen to most basic commands, and he seemed to be able to chew through anything. People began wondering what was it about this dog that made him so different? Well, eventually, the truth came out and everyone realized that this was no ordinary puppy. One day an 18 year old boy in Tucson, Arizona was walking down the street when he noticed a sign in the window of a house. The sign said “Free Dog” and like many young boys with a love of animals, this kid was immediately drawn in by the prospect of having a new furry friend to play with. When he went in and saw the puppy it was love at first sight. The puppy looked so cute with his big brown eyes and perky ears, this guy knew there was no way he could resist. So he called his parents and begged them to him bring the puppy home, and luckily they agreed. He named the puppy Neo and that was that. When Neo’s new owner brought him home he had no idea what he was getting himself into. Neo didn’t seem to be behaving like most dogs. Training him was incredibly difficult, and he was very anti social when it came to other humans. Neo was also quite the escape artist and would constantly try, and often succeed, in escaping his owner’s yard. Even when the owner built a taller and stronger fence, Neo still tried to claw and chew his way to freedom. Neo didn’t seem to have any interest in hanging around humans, and he didn’t even have much interest in playing a lot with toys like most dogs. When Neo would pull his escape routine and go exploring he kept winding up at a neighbor’s house, and it seemed he always had a specific goal in mind. That goal was to get to his neighbor’s dogs, large German Shepherds, and try to play with them, something that the neighbors weren’t thrilled about. To make matters worse, Neo’s owner wasn’t able to stay around much to help his parents out with his dog’s care. Like many 18 year olds, he had plans to start college and be a full time student. Unfortunately, there was no way a dog like this could join him in school, which meant that he wouldn’t be around much for Neo anymore. The parents agreed that they would take care of Neo while their son was at school, but it was certainly no easy task. The owner’s family really wasn’t equipped to handle Neo’s wild behavior, and no matter what they did Neo kept finding ways to escape so that he could go to the neighbor’s house. The neighbors tried to be patient and understanding, but eventually they decided enough was enough because Neo wouldn’t leave their dogs alone. One day when Neo came by their house they threw a leash on him and took him to the Humane Society where they hoped that at the very least they could get help until something could be worked out with the owners. 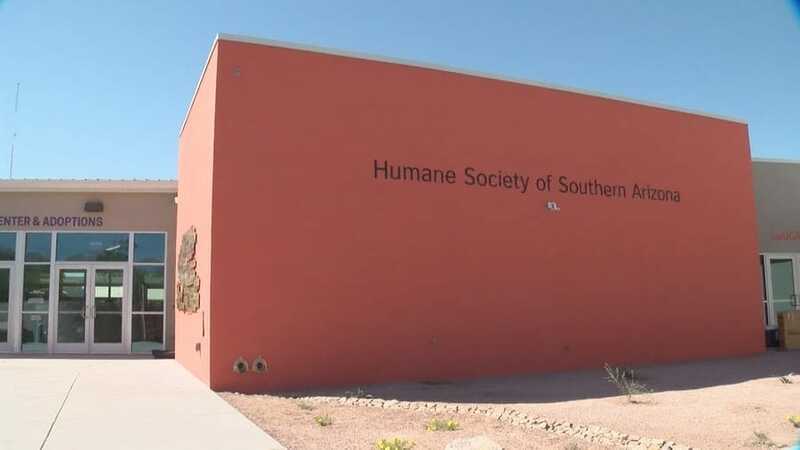 The Humane Society of Southern Arizona (or HSSA) is a shelter based in Tucson that does all sorts of work for animal welfare. In addition to taking in animals in need, and holding adoptions, they also help provide veterinary care and encourage owners to spay and neuter their pets. 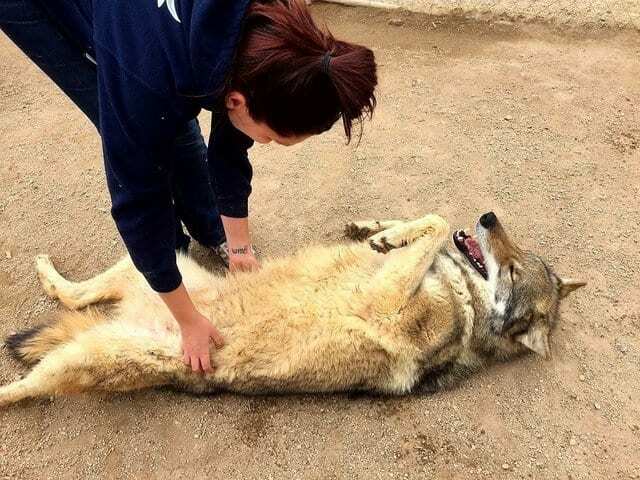 They are the largest and oldest animal welfare organization, that is also a nonprofit, within Southern Arizona. All of their staff and volunteers have extensive experience working with animals and strive to do all they can to help. When the former CEO of HSSA, Maureen O’Nell saw the couple approaching with Neo she immediately knew that something was off. Neo was trying to avoid human interactions as much as possible which was a big red flag. Not to mention that he had a very specific look to him. So, Maureen went up to the couple and said, “You know that isn’t a dog, right?” Turns out Neo was not a dog, he was a wolf dog! Which explained so much about his unusual behavior. Plus, he was considered high content. 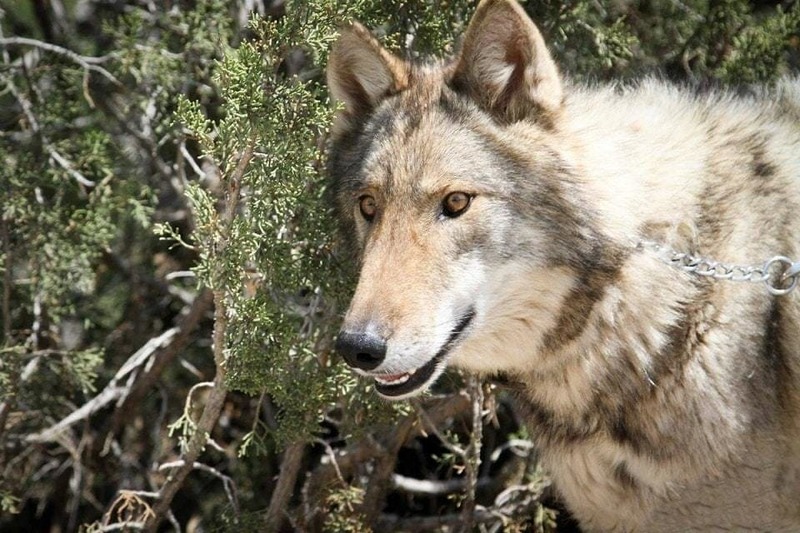 When it comes to wolf dogs people will often talk about their “content” level, which basically tells you how much wolf is prominent in the animal. A low content mean that they are mostly dog with a touch of wolf, medium content means the wolf and dog sides are evenly balanced, and high content means that they are nearly all wolf with just a splash of dog. Neo was clearly high content, and even had the look of a full bred wolf. All of this information added a new complication to Neo’s situation. 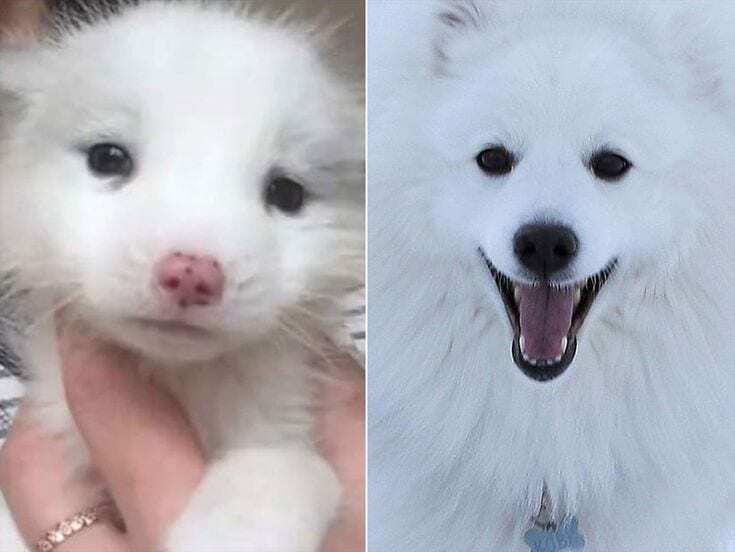 Once Neo’s true nature as a high content wolf dog was revealed, the couple who brought him in felt like the light bulb had finally turned on for them. His strange behavior made so much more sense now! It explained why Neo bonded with his owner, but was wary of other humans. It also explained why Neo was always trying to get his neighbor’s German Shepherds. All along Neo had just been trying to find a pack of his own, and those dogs were the closest he could get to it. 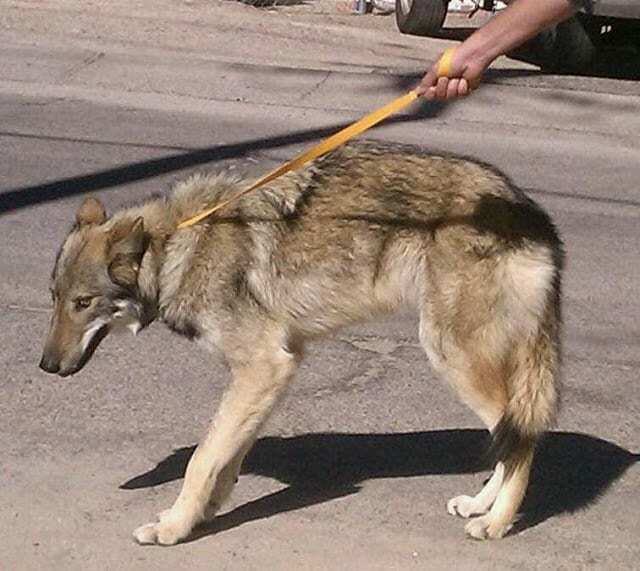 Unfortunately for Neo, Arizona state law is very strict about people owning wolves, or even wolf hybrids. Maureen did some research and learned that unless you obtain a special permit or are of Native American decent, owning wolves is strictly forbidden. The Humane Society wasn’t even going to be allowed to keep him, especially because they were legally obligated to notify the authorities. Maureen knew that they would need to act fast if they wanted to be able to save Neo from being put down. Maureen did some more research and found a potential solution. 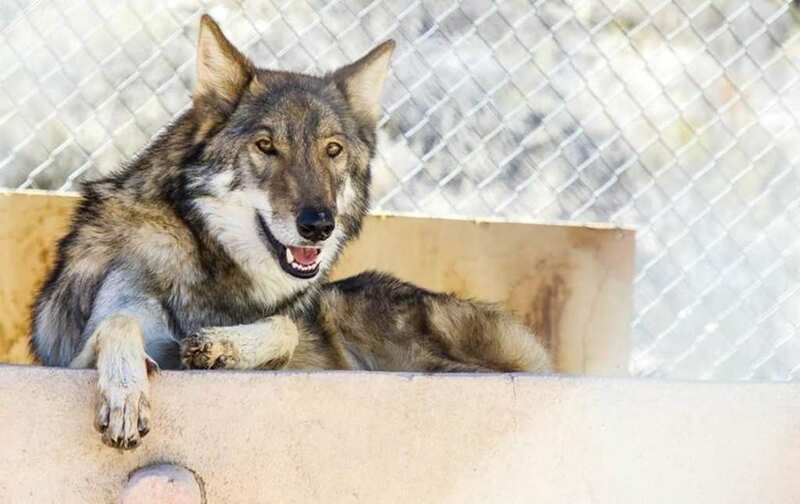 In California was a place called Wolf Connection, which is a sanctuary and rescue for wolfdogs. She called Neo’s owner and explained the situation and that she believed Neo would be better off in this new place. 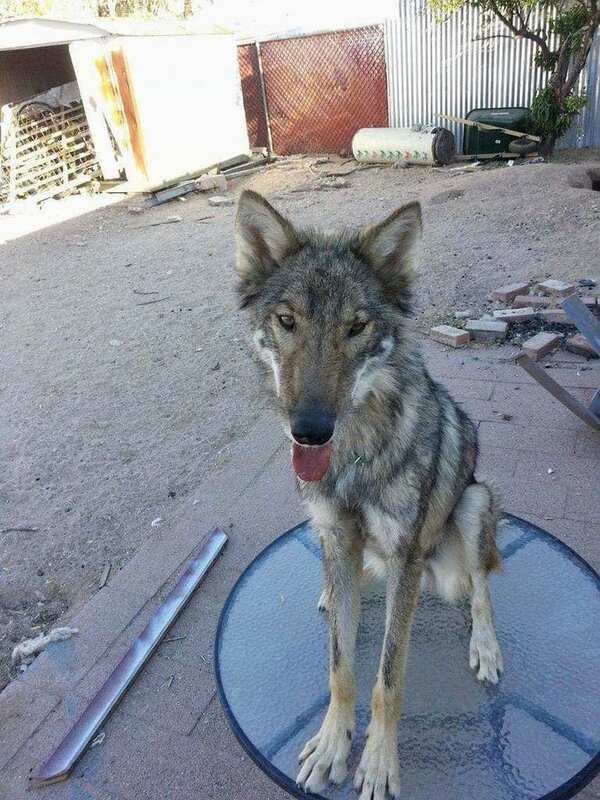 The teenage owner understood that Neo would probably never be truly happy with his life in Tucson, and that it just wasn’t the right fit for him. With his blessing, Maureen called Wolf Connection and luckily they had room for Neo! 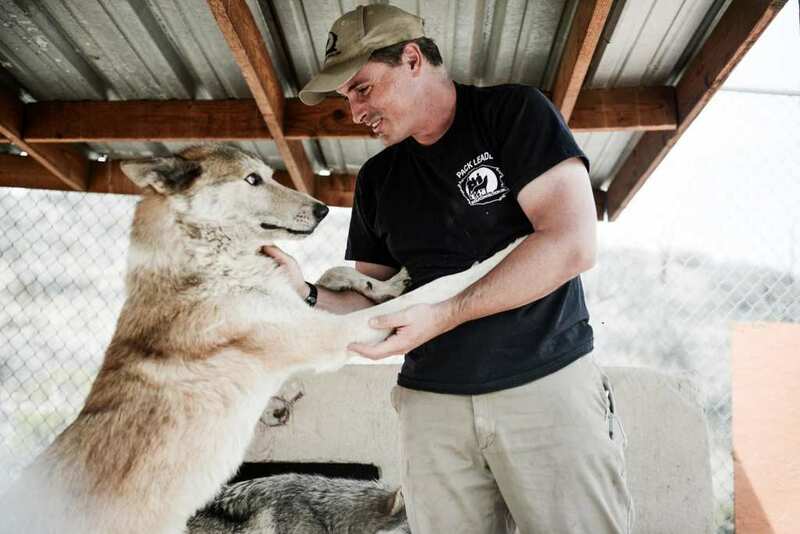 Wolf Connection is a nonprofit organization located in Southern California who help to rescue and provide homes for large canines, mostly wolf dogs. But what makes this organization so unique is that they do so much more than just rescue the animals. They also have an exceptional educational program that they use to help at risk youth. Through their program at risk groups can connect with these animals and nature, and learn valuable tools for interacting in the world. It’s truly a one of a kind program. The sanctuary was more than happy to take Neo in, but it would take a few days to get things ready. So, in the meantime the Humane Society kept him at their facility. 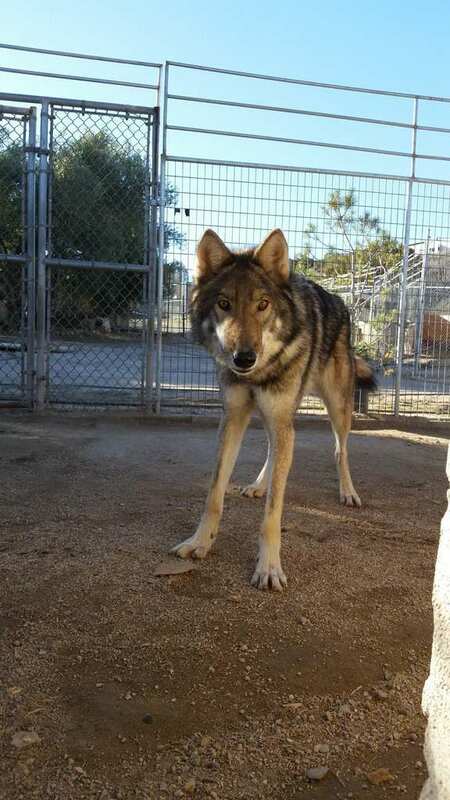 Eventually, the day arrived when Wolf Connection was ready to bring him home. 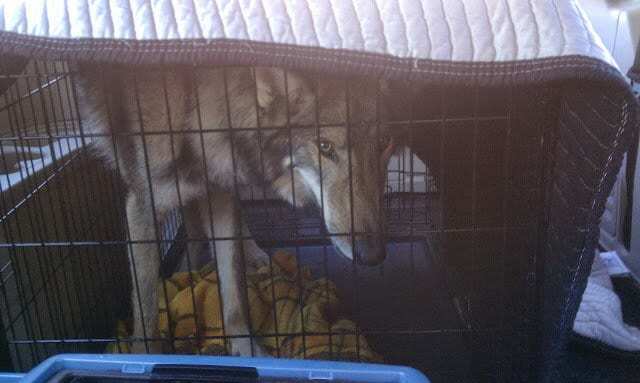 They loaded Neo up in a crate and began the long drive to California. 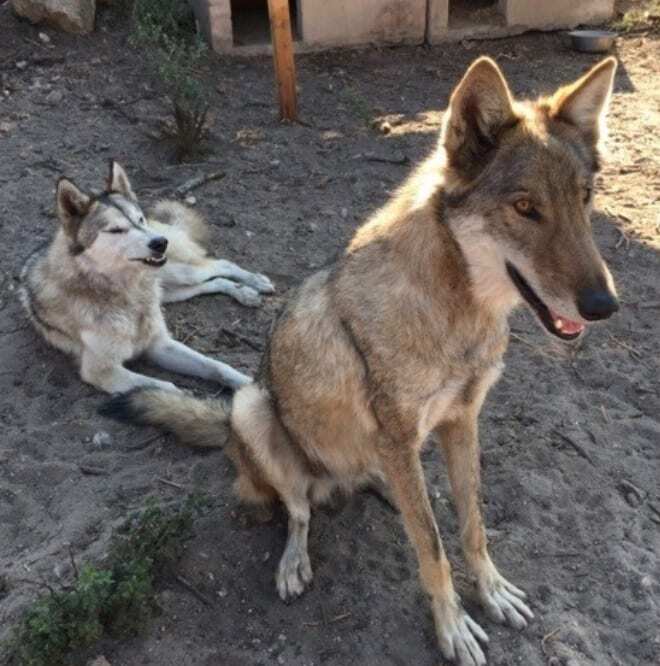 Despite being in good health they wanted to keep Neo isolated temporarily from the rest of the animals, especially since he had never been around wolf dogs before. Little did they know that Neo was practically the Houdini of wolf dogs, and it didn’t take long before he escaped his isolation pen. He headed straight for the pen of one of the alpha females named Maya. Neo was determined to make himself part of the pack, and he did so seamlessly. 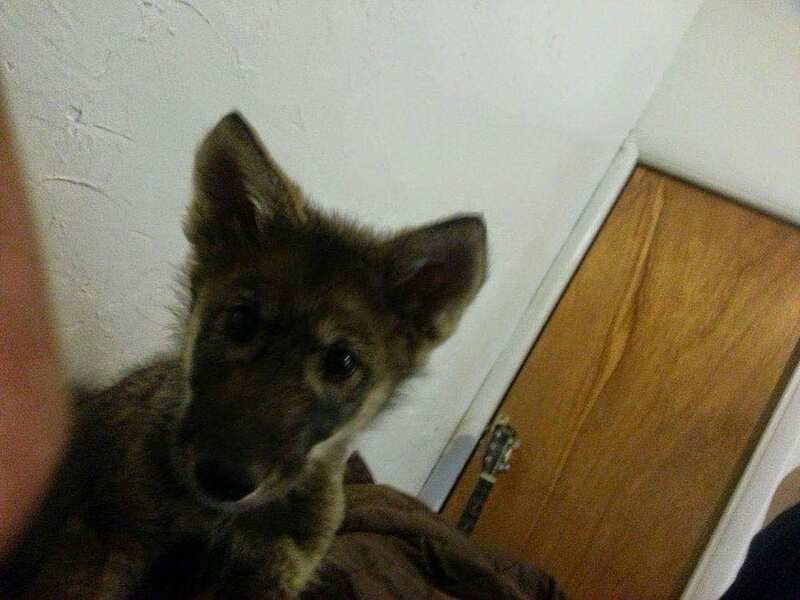 His first night in the sanctuary he joined the rest of the wolf dogs in their nightly howl. One person remarked that it seemed like he truly knew he was home. 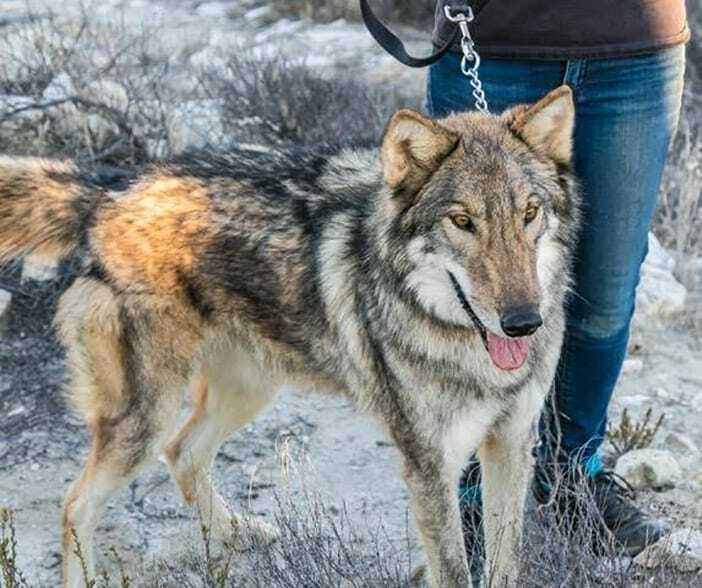 The staff and volunteers who work at Wolf Connection have extensive experience working with wolf dogs like Neo, so they knew it exactly how to interact with him in a way that his previous owner did not. Between his new pack, and the tools at the staff’s disposal, Neo was able to truly come out of his shell and become the wolf dog he was always meant to be. The change in environment gave Neo a whole new lease on life. These days Neo is living the good life at Wolf Connection. He loves being a part of the pack and playing with his packmates. He has also learned how to appropriately interact with other humans, and form connections with them. 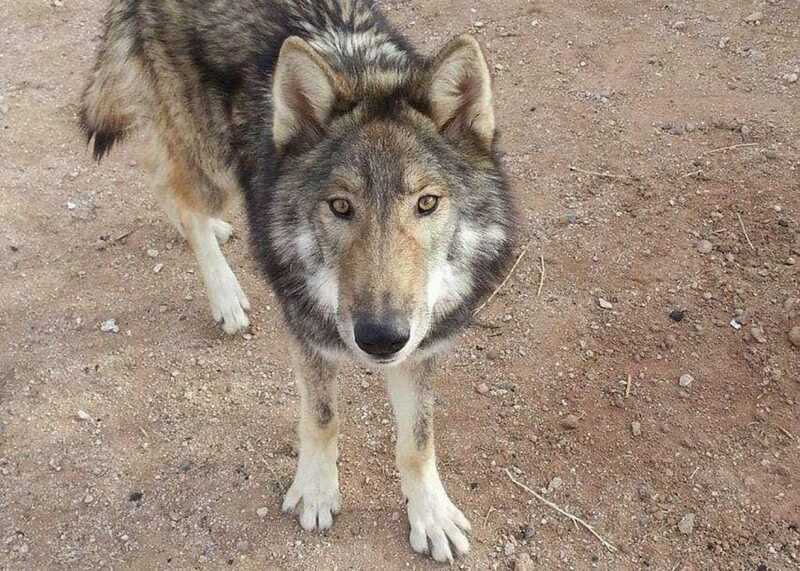 Wolf Connection has made it clear that not only are they helping Neo, but he is also helping many at risk youth learn to heal from traumas and anxieties. All in all, a very happy ending for everyone involved. Neo isn’t the only canine out there to have been mistaken for a regular dog. Just the other month in Bartlett, Illinois a good samaritan noticed a puppy on the side of the road. 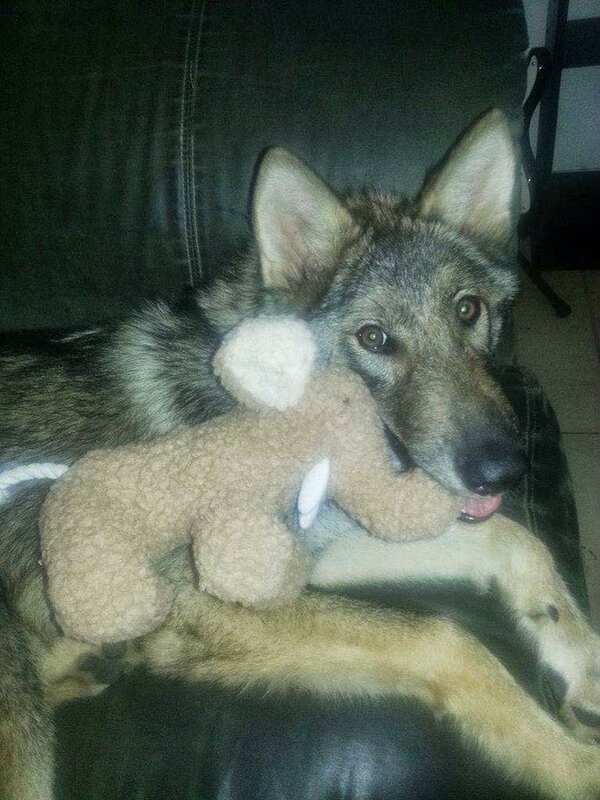 Believing it to be an abandoned dog, he scooped it up and took it to the local police station. 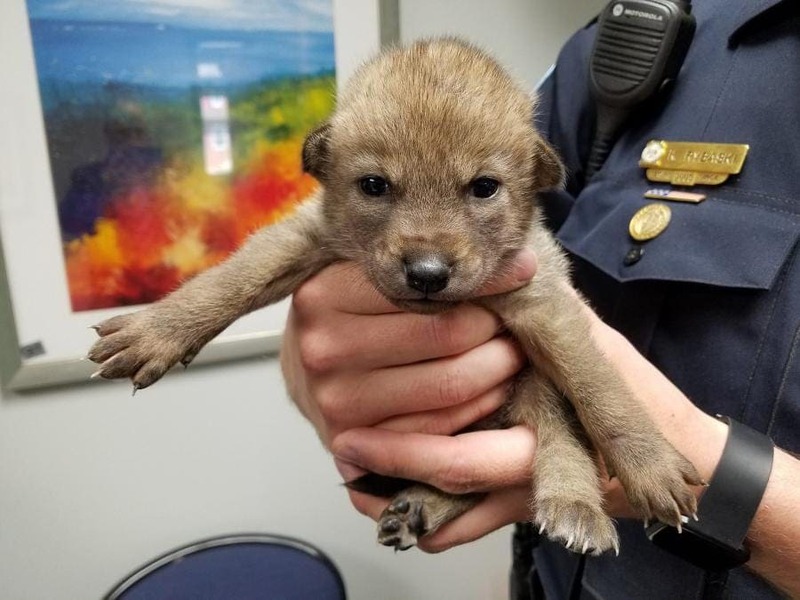 The police took the puppy in, but not before someone noticed that this wasn’t a dog, it was a coyote puppy! 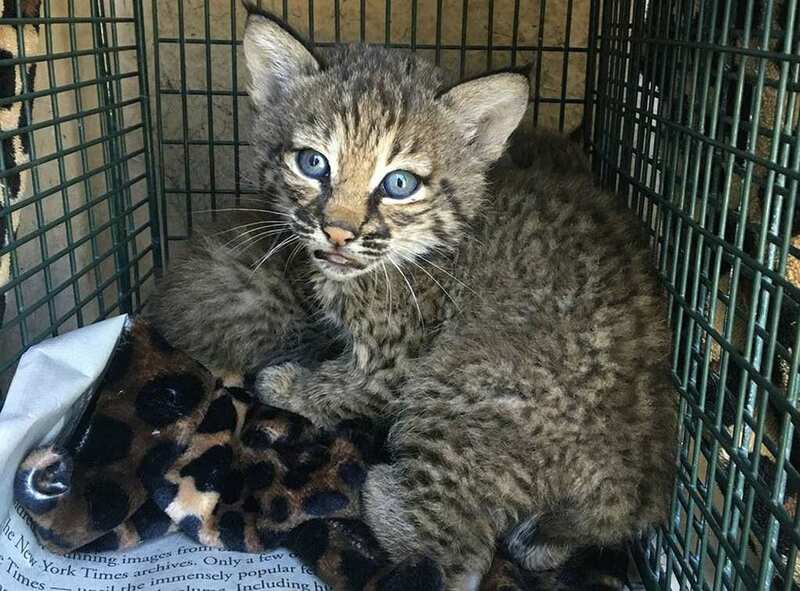 Luckily they noticed before anyone could bring him home, and they called up a local wildlife shelter to take the puppy in. One woman in China, named Ms. Wang, purchased what she thought was a puppy from a local pet shop. However, when she brought him home she began to notice that he wasn’t acting much like a dog. He never barked and he never liked any of the dog food she gave him. She soon discovered it was because her dog wasn’t a dog, but a fox instead. She decided it would be best to give the fox to the local zoo where he could live in a more natural habitat.